Termed as historic, the passage of Goods and Services Tax or GST Constitution Amendment Bill in Rajya Sabha will not only unite the country with one taxation rate but also empower states and increase their revenues. Although it is not very clear at this stage what will be the GST rate, there were requests to cap it at 18%. 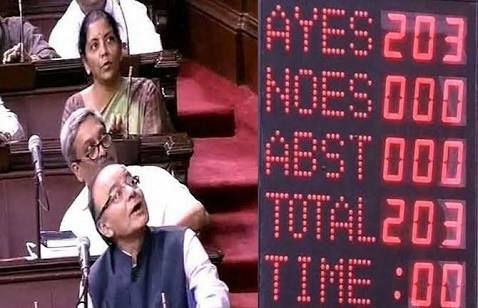 The Constitution (122nd) Amendment Bill, 2014 for Goods and Services Tax got passed with an absolute majority in the Rajya Sabha after the Union government dropped the contentious 1% additional inter-state tax and also agreed to pay full compensation to the states for five years towards revenue loss if any. After a seven-hour debate, the legislation was approved in the House with 203 votes in favour and none against. With the GST passing the Upper House test, the NDA government’s hope to implement the same from April 1, 2017, may become a reality. However, the document needs ratification from atleast 16 out of the 31 states (including Pondicherry and Delhi) for it to go forward. At this stage, it is important to understand what is GST and what it is expected to do. Theoretically, GST is a value added tax levied on the intrinsic value of goods and services, designed to give credit input stage taxes to the entire distribution chain. As a consequence, the ultimate consumer bears the entire tax burden. When implemented, the single unified value-added tax system will help India transition into the world’s biggest single market. To put it simplistically, GST will make India one large marketplace where goods and services can seamlessly flow from one state to another by paying only one tax. At present, the cost of doing business in our country is high because companies cannot avail of credits for taxes paid at the sources nor can they accumulate credits. Shifting to a GST regime would mean pass-through of all credits wherein the incidence of the tax is shifted to the final consumer without any cascading effect. Since India has a federal structure of governance, there will be two components of GST – Central GST (CGST) and State GST (SGST). As such, both the Centre and the States will simultaneously levy GST across the value chain on every supply of goods and services. While Central Goods and Services Tax (CGST) will be levied and collected by the Centre, SGST will be collected by the State on all transactions within. The input tax credit of CGST will then be available for discharging the CGST liability on the output at each stage. Likewise, the credit of SGST paid on inputs will be allowed for paying the SGST on output. However, no cross utilization of credit would be permitted. It is evident from the definition that specific cost-benefit analyses for input and output taxes have to be calculated for each industry. The overall impact of a simplified tax regime will lead to lower compliance costs for industry. Inevitably, the ease of doing business parameter will be favoring businesses. Analysts say GST could boost India’s annual India’s gross domestic product (GDP) growth by one to two percentage points. Finance Minister Arun Jaitley has said the new national sales tax would bring down manufacturing taxes and VAT, but the same for service tax will be decided by States and Centre. While hailing the biggest tax reform since Independence, industry body FICCI said the most significant advantage for consumers would be a massive reduction in the overall tax burden on goods, which is estimated at 25-30%. GST would make products competitive in both domestic and international markets, FICCI added. Actually, the release of Model GST Law on June 14, 2016, had pushed India within the striking distance of the much-awaited tax-reform. It also conveyed the Union government’s intention of seeing it through. However, the model law also fueled speculations among brokers, mutual funds and retail investors that transactions in the capital market may invite levy of additional tax. The way it is worded, securities do appear to fall under the ambit of model law. The draft law had clubbed securities with goods, which is the genesis of this speculation. So far securities have been deemed as investments and all state VAT legislations currently exclude it from the ‘goods’ bucket. Hence, its sale and purchase have never attracted any service tax or VAT. Interestingly, the current service tax categorizes securities under `goods’ simply to exclude it from the `service’ bucket since trading in goods does not attract service tax. Since securities cannot fit in the `service’ compartment, it must come under `goods.’ According to the Finance Ministry website, the definition of goods includes every kind of movable property other than actionable claim and money. It includes securities and growing crops as well as grass and things attached to or forming part of the land that are agreed to be severed before supply or under the contract of supply. However, there already exists a levy of 0.1% securities transaction tax (STT) on delivery-based trades and 0.025% STT on the intraday transaction. As mentioned earlier, securities are investments, while GST is a destination-based consumption tax. If the government indeed imposes value added tax on investments, the very purpose of switching to a reformed tax regime will be questioned. Furthermore, there are charges such as Krishi Kalyan Cess, Swacch Bharat Cess, Sebi turnover charges, stamp duty, etc, which are levied on the transaction of every share. Although it is highly unlikely that the government would want to add another tax over and above the existing ones, some industry experts are of the opinion that services such as brokerages and commissions along with bank charges may fall under the purview of GST. The argument for this case is that brokerage, bank charges, etc are services accompanying securities’ transactions and are in service tax net. Meanwhile, experts following the draft GST say there is a big possibility of it finding a spot in the exemption list since higher taxes could be an added deterrent. Proper functioning of all the aspects of CGST and SGST are crucial for the success of GST. It is a very complicated procedure and needs explanation. For all inter-State supplies of goods and services, the Centre would levy and collect taxes through a new mechanism called the Integrated Goods and Services Tax (IGST). CGST and SGST together are equal to IGST. Since GST is actually a destination-based tax, all SGST on the final product will rest on the consuming State. To put it simply, the inter-State seller will have to adjust IGST, CGST, and SGST credits on purchases before paying IGST on the sale of goods to the Centre. The exporting State will transfer SGST credit to the Centre, and the importer can claim the credit of IGST after bearing tax liability in the home State. The Centre will, of course, transfer IGST credits to the importing State for payment of SGST. Indian industry has been rooting for GST for a very long time in a bid to take advantage of economies of scale. Most analysts examining the new tax suggest a mixed impact of GST in the short-term, but they assert that gains will be immense in the long term. This key constitutional amendment will benefit sectors like Automobile, FMCG, e-commerce, telecom, media and cement. However, GST will make aviation and insurance more expensive. Telecom manufacturers will focus on consolidating their warehouses resulting in cost benefits. They may also choose to pass on the benefits to customers. Specifically, handsets are likely to get cheaper under GST. Cement manufacturers are likely to shell out much lower than the current 25% effective tax once GST is implemented. Transportation charges, which make up over 20% of cement companies’ revenues, will fall sharply under GST. Analysts say the benefits are likely to get passed on to the consumers. However, when the new law comes into effect, one will have to pay more for certain goods and services. Eating out, phone bills, flying, insurance, jewellery, etc are likely to become more expensive than they are now. After the Rajya Sabha had passed the GST Bill with amendments on August 3, 2016, it was again taken up by the Lok Sabha to approve the changes made in it by the Upper House. After a six-hour debate on August 8, 2016, the Lower House passed the Bill as amended by the Rajya Sabha, with all the 443 members present voting in favour after the AIADMK members opposed the measure and staged a walkout. Now, the bill will have to be ratified by at least 16 of the 31 State Assemblies. So it will now head towards the State legislatures, where it will face the next acid test. If a minimum of 16 State Assemblies of the 31 states ratify the constitution amendment, then the Bill will get the presidential assent and become law. A key challenging element in the GST Bill is the fixing of the Revenue Neutral Rate (RNR). The rate at which the government will undergo zero revenue loss is called RNR. A National Institute of Public Finance and Policy (NIPFP) study has worked out an RNR of 27%, but the Economic Advisor Panel has advised a much lower RNR of 15% or 15.5%. On the logistics front, IT infrastructure will have to be upgraded massively because the success of GST implementation lies in strong technology. A common GST technology platform would mean all states get to upgrade their systems. This will mean that taxpayers can access a standard interface wherein they can register, file their returns and pay taxes. Although, the States have revamped their IT systems for VAT computation, a lot more sophistication is required in the case of GST. Moreover, the States are technologically modern in varying degrees. For instance, Maharashtra tax filing system is much faster than those seen in the North Eastern states. A central portal called GSTN was created to carry out this exercise of guiding States towards a GST technology. GST will pose a significant challenge to small traders who are not dependent on computers to run their businesses. After the GST comes into force, small traders and shopkeepers will have to maintain a computerized account of all transactions. This complexity had prevented the Value-Added Tax (VAT) from being implemented in the small-scale sector. Many experts also fear that GST will push up inflation. The most crucial point for GST implementation is meeting the deadline of April 1, 2017. Analysts and industry observers think the set date is too ambitious. Let us explore some of the important facets below. The industries and businesses are looking forward to a GST rate of 18%. But the government is not ready to commit a number. If GST rates are finalized higher, say 20%, the States are likely to cry foul over revenue losses. The matter will be debated at the GST Council. The rate will also depend on the list of exempted items and demerit commodities, which is yet to be finalized. However, Finance Minister Arun Jaitley has assured that the rate will be reasonably lower for the manufacturing sector. Mindset change will play a prominent role going ahead with GST. Not only is the government required to embark on a humongous staff training exercise at the Central and State level, but also adopt a strategy to include the industry and trade of all sizes in the new tax net. Here it needs to be recalled that the government has always found it impossible to levy value added tax on small and medium industry. The current proposal under GST exhibits a sharp spike in tax rates for the Services sector. But the government cannot allow a high level of taxation on such an important sector and is likely to look for ways to ease it out while finalizing the rate structure. The input tax credit on goods against services is one such way to give relief. Revenue Secretary Hasmukh Adhia has said the Union government would fit in services in a slab, which is neither very high nor very low. A full-fledged GST implementation will see the end of manual filing of returns. The entire process will be handled electronically without involving any paperwork at any stage. Most returns would be self-assessed, and all mismatched returns would be auto-generated. There would be no reason for manual interventions. Further, we will have a single-point interface for challan generation – GSTN 12. GST will ensure ease of payment, which can be made through online banking, through Credit Card/Debit Card or NEFT/RTGS or via cheque/cash at the bank. One can look forward to a common challan form with auto-population features, a common set of authorized banks and standard accounting codes. There is a possibility that the government may keep some of the cesses and surcharges out of the purview of GST for the purpose of financing chosen initiatives. It may also be possible that all kinds of surcharges get subsumed under GST. Whatever be the case, it will be recommended by the GST Council. 10. 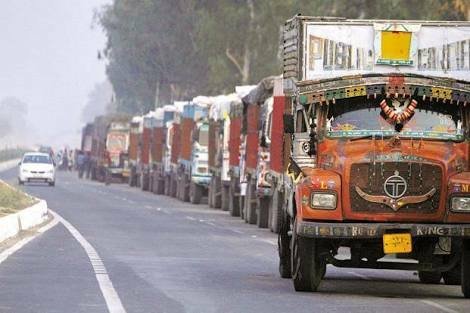 Compensation aspect of GST is what thawed the earlier bottleneck. The States had rejected the Standing Committee recommendation of a staggered payout plan for five years and won the argument for full compensation. In the days to come, the Centre will have to work out a methodology to calculate this compensation. As India is due to adopt dual GST model, it will have Central GST (CGST) and State GST (SGST) components. However, it will have to be seen what provisions the new legislation contains to account and utilize credits across locations. Furthermore, to make GST effective, the government will have to train both the Central and the State tax administration staff as the process is radically different from the ones they are currently used to. The staff would have to unlearn before they start to understand the concept, the law as well as the method involved. This entry was posted in blog on August 26, 2016 by admin. India is not the only country but one of hundreds which has implemented GST in their taxation. Hence lets not assume that this will be a pure success or failure lets hope for the best in future. A few state assemblies have passed GST so covering 15 states should no longer be a problem. The issue is how would such extensive tax system be integrated in Indian economy. Commerce will increase and become more transparent and cost efficient for manufacturers. Since cascading of taxes will be now a thing of past consumers will also pay less. All in all, a welcome step. This is a good post but certain questions emerge here of which the gist is the following: This is also in my article on GST:The 101th Constitutional Amendment bill passed by both the houses of Parliament has paved way to the long awaited financial change which the country intends to bring here. By the sources, it is measured that as on day, only 30 percent trade in India is declared trade and this yields in utilization of black money as well letting the black money float into the general stream of the country. This makes the progress of the country slow and also reduces the value of the currency and causes inflation too. With this, the free trade is curbed and a business keeps dual and triple accounting leading to rampant tax evasion as well as it restricts trade. To ensure free trade, the concept of GST came up. This could only be possible by this Constitutional Amendment. Thanks to all the Political Parties, which, to the interest of nation, has adopted the changes brought in the Constitution of India by 101st Constitutional Amendment Bill passed by Both the Houses of Parliament? Out of 15 states required to pass the bill, till yesterday, 7 states have passed this bill. This paves way for this change. Hon’ble Finance Minister, Mr. Arun Jaitley, in his speech stated that the aim of the amendment is to enforce the principles of GST from April 2017. The Amendment was subsequently ratified by Lok Sabha, unanimously and has already been consented to by 7 States i.e. Assam, Bihar, Jharkhand, Himachal Pradesh, Chattishgarh, Gujarat, Madhya Pradesh. It is however, important to note that the Bill itself is a facilitator and lays down the constitutional framework and more importantly the constitutional limits which the lawmakers of both the States and Union have to adhere to in order to make GST a reality. The state laws shall be confined to this only. The most significant move on this is the Contitution of GST Counsel under article 279A. This shall recommend the subjugation of certain taxes into GST. It shall recommend as to what goods and service shall be exempt and thereafter frame GST Laws accordingly. This shall ensure the draft GST Bill to emerge. The rules shall follow thereafter. The Government with this intention, means to minimize litigation with the ensured growth not only in the economy but it intends simplification of the application of laws also thereupon. I have been constantly looking into the articles and discussions in the net as well in the seminars which are being held in this respect. Many of this talk over presumptions which came out of the model GST bill proposed to be put in parliament when this Constitutional amendment was not passed. In the conventions or seminars, why not we project the simplification in administration of law coming for this. Question is for the classification of Goods to be harmonized. Question is the collection. Question is the administration of Data and sharing the same with both the limbs of revenue. Question is the simplification of process. Question is to make the compliance easier and not cumbersome. Second note shall be a proposal as to how to harmonize the structure for the object to be achieved. Let us all be a party to the largest economic change in the county. Let us now not think of what happened in the past. India will have a new indirect taxation landscape from FY 2017 and all stakeholders must prepare so that no loopholes are left. I donot think that just goods and service tax will be of any good unless tax officials and tax infrastructure is improved. Tax officials need training and new recruitment should also be done by CBEC. might prefer to see a General Transaction Levy. This would fit nicely with the proposal that our current metrics derived from Gross Domestic Product (GDP) be augmented by a broader system of metrics derived from Gross Domestic Transaction (GDT). One thing is definite, that Indias GDP will enhance after GST roll out. Lesser permits, duties and free movement will transfer goods from one place to another very easily so transaction value will increase. Although the GST looks good in a simplistic economic model, it certainly doesn’t cure India’s economic challenges. A GST was introduced in Canada in the early 1990ies, and the Canadian economy is not a stellar performer in global comparison. India needs to harness its diversity as a source of strength. This, I think, is the major challenge. Similar changes should be done in direct taxes as well where more and more citizens should be covered and brought under the net. Indias riches are thriving on Indias poor. Its a tough road ahead. Federalism and cooperation will see a new dawn after this tax. States will come on par on many scales. Businesses will start at all places, not where taxes were less or where bribery was prevalent. There are many more sectors apart from FMCG, transportation and others that you have mentioned. In services we will have to wait and see the final rate which I believe should not be more than 15%. This is clearly a win for BJP and Modi. He played a key role in bringing other parties to table. People should not compare him with Atal Ji, both are different and have different approach and abilities. The Irony of Indian Politics is that in-spite of passing improvised GST bill in both the houses, only handful of states have passed the same in their constitution, although the same should have done in no time on war footing way, but not at all.!!! GST will against the freedom of States. It promoting federalism that against the Constitution. The Hindi belt will only enjoy the benefits of GST. Rest of the state will loose their Income. A triump to celebrate for an Indian economy! A way to acche din?? Now it is time to write about operative part of GST.How it will work, Inpu Tax credit, returns , precautions in handling of GST etc.with proper examples of Tax calculations etc.